Data were not collected regarding specific reasons for ineligibility. Y-axis in blue indicates range from 0% to 10%. The primary efficacy end point was time to cardiovascular death, nonfatal myocardial infarction, or nonfatal stroke. Mean value at baseline: A, 7.8% for both placebo and aleglitazar; B, 41.8 mg/dL for placebo and 42.2 mg/dL for aleglitazar; C, 154 mg/dL for placebo and 152 mg/dL for aleglitazar; and D, 79.7 mg/dL for placebo and 78.9 mg/dL for aleglitazar. To convert high-density lipoprotein and low-density lipoprotein to millimoles per liter, multiply by 0.0259; triglycerides to millimoles per liter, multiply by 0.0113. Error bars indicate 95% CIs. Mean value at baseline: A, 83.3 kg for placebo and 82.9 kg for aleglitazar; B, 0.97 mg/dL for placebo and 0.98 mg/dL for aleglitazar. Includes only patients who received at least 1 dose of study drug and according to drug actually received. B, Follow-up values were obtained 4 weeks after end of treatment. To convert creatinine to micromoles per liter, multiply by 88.4. Error bars indicate 95% CIs. Ruilope L, Hanefeld M, Lincoff A, et al. Effects of Aleglitazar on Renal Function in Patients with Stage 3 Chronic Kidney Disease and Type 2 Diabetes (ABSTR). J Am Soc Nephrol.2012;23:SA-PO 1115. AstraZeneca. AstraZeneca discontinues development of Galida (tesaglitazar).http://www.sec.gov/Archives/edgar/containers/fix047/901832/000095010306001449/dp02741_6k.htm. Accessed March 21, 2014. Armitage J. Group H-TC. HPS2-THRIVE: randomized placebo-controlled trial of ER niacin and laropiprant in 25,673 patients with preexisting cardiovascular disease. Presented at: American College of Cardiology Scientific Sessions; March 9,2013; San Francisco, CA. Importance No therapy directed against diabetes has been shown to unequivocally reduce the excess risk of cardiovascular complications. Aleglitazar is a dual agonist of peroxisome proliferator–activated receptors with insulin-sensitizing and glucose-lowering actions and favorable effects on lipid profiles. Objective To determine whether the addition of aleglitazar to standard medical therapy reduces cardiovascular morbidity and mortality among patients with type 2 diabetes mellitus and a recent acute coronary syndrome (ACS). Design, Setting, and Participants AleCardio was a phase 3, multicenter, randomized, double-blind, placebo-controlled trial conducted in 720 hospitals in 26 countries throughout North America, Latin America, Europe, and Asia-Pacific regions. The enrollment of 7226 patients hospitalized for ACS (myocardial infarction or unstable angina) with type 2 diabetes occurred between February 2010 and May 2012; treatment was planned to continue until patients were followed-up for at least 2.5 years and 950 primary end point events were positively adjudicated. Interventions Randomized in a 1:1 ratio to receive aleglitazar 150 µg or placebo daily. Main Outcomes and Measures The primary efficacy end point was time to cardiovascular death, nonfatal myocardial infarction, or nonfatal stroke. Principal safety end points were hospitalization due to heart failure and changes in renal function. Results The trial was terminated on July 2, 2013, after a median follow-up of 104 weeks, upon recommendation of the data and safety monitoring board due to futility for efficacy at an unplanned interim analysis and increased rates of safety end points. A total of 3.1% of patients were lost to follow-up and 3.2% of patients withdrew consent. The primary end point occurred in 344 patients (9.5%) in the aleglitazar group and 360 patients (10.0%) in the placebo group (hazard ratio, 0.96 [95% CI, 0.83-1.11]; P = .57). Rates of serious adverse events, including heart failure (3.4% for aleglitazar vs 2.8% for placebo, P = .14), gastrointestinal hemorrhages (2.4% for aleglitazar vs 1.7% for placebo, P = .03), and renal dysfunction (7.4% for aleglitazar vs 2.7% for placebo, P < .001) were increased. Conclusions and Relevance Among patients with type 2 diabetes and recent ACS, use of aleglitazar did not reduce the risk of cardiovascular outcomes. These findings do not support the use of aleglitazar in this setting with a goal of reducing cardiovascular risk. Peroxisome proliferator–activated receptors (PPARs) regulate genes involved in lipid and energy metabolism.8,9 Agonists of the PPAR-α and PPAR-γ subtypes are currently approved for management of dyslipidemia and type 2 diabetes. Fibrate agonists of PPAR-α exert favorable effects on lipid profiles, increasing production of apolipoproteins AI and AII and levels of high-density lipoprotein cholesterol (HDL-C) and decreasing levels of serum triglycerides. Thiazolidinediones, agonists of PPAR-γ, reduce hyperglycemia through enhanced fatty acid uptake by adipose tissue and improved β-cell function and insulin sensitivity. As both dyslipidemia and insulin resistance are associated with atherosclerosis in patients with diabetes, dual PPAR agonists (PPAR-α/γ) hold the potential to combine favorable actions on lipoproteins with insulin-sensitizing and glucose-lowering effects. Aleglitazar is a potent dual PPAR agonist with balanced affinity for the PPAR-α and PPAR-γ subtypes.10 In phase 2 trials, aleglitazar significantly reduced glycated hemoglobin levels, triglycerides, and low-density lipoprotein cholesterol (LDL-C) and increased HDL-C.11,12 Dose-related fluid retention and weight gain and reversible increases in serum creatinine were also observed.11-13 We conducted this trial to test the hypothesis that aleglitazar added to standard therapy would reduce the risk of cardiovascular mortality and morbidity among patients with diabetes mellitus and recent acute coronary syndrome (ACS). This study was a randomized, double-blind, placebo-controlled, multicenter, superiority trial. The design has previously been published.14 The appropriate national and institutional regulatory and ethical boards approved the protocol, and all patients provided written informed consent. An executive steering committee, consisting of academic members and 2 nonvoting representatives from the sponsoring company (Roche), designed the trial and were responsible for its conduct and for the presentation and publication of results. The trial was managed by an international partnership of 5 academic research organizations that, together with the sponsor, coordinated the academic leadership and provided site and data management. A data and safety monitoring board (DSMB), consisting of independent physicians and statisticians with access to unblinded data, monitored the safety of the study. Patients were eligible for enrollment if they were hospitalized for ACS with either established (managed by diet or medication) or newly diagnosed type 2 diabetes. Acute coronary syndrome included myocardial infarction, with or without ST segment elevation on the electrocardiogram, or biomarker-negative unstable angina. Exclusion criteria included symptomatic heart failure, hospitalization with heart failure within the previous 12 months, severe peripheral edema, chronic kidney disease (estimated glomerular filtration rate of <45 mL/min/1.73 m2), or fasting triglyceride level greater than 400 mg/dL (eAppendix 2 in the Supplement shows details regarding inclusion and exclusion criteria). Patients could be randomized at hospital discharge following the qualifying ACS event or after a screening period of no longer than 12 weeks to allow stabilization of their clinical condition, completion of planned revascularization procedures, and achievement of steady-state renal function. Patients were assigned in a double-blind fashion and a 1:1 ratio using a permuted block randomization without stratification through an interactive telephone and web system to receive aleglitazar, 150 μg daily, or matching placebo, in addition to contemporary and guideline-based care for ACS, diabetes, and coronary heart disease risk factors. Concomitant use of systemic corticosteroids for longer than 2 weeks, thiazolidinediones, or fibrates was not permitted. Patients returned for outpatient visits at 1, 3, 6, 9, and 12 months following randomization, followed by alternating visits and phone contact every third month thereafter. The primary efficacy end point was the time to first occurrence of any component of the composite of cardiovascular mortality, nonfatal myocardial infarction, or nonfatal stroke. Secondary end points were the primary composite with the addition of hospitalization for biomarker-negative unstable angina; a composite of all-cause mortality, myocardial infarction, or stroke; and unplanned coronary revascularization (definitions in eAppendix 2 in the Supplement). Exploratory efficacy end points included measures of glycemic control (including the proportion of patients achieving glycated hemoglobin of less than 7.0% or a new need for permanent insulin during the trial) and lipid levels. Key safety end points were hospitalization due to heart failure and a composite renal end point of the development of end-stage renal disease, doubling of serum creatinine, or greater than 50% increase in creatinine leading to study drug discontinuation. Adverse events of particular interest for PPAR or antihyperglycemic medications were recorded, including fluid retention leading to peripheral edema or congestive heart failure, bone fractures, hypoglycemia, or malignancies. A clinical events committee, blinded to treatment assignment, adjudicated all suspected myocardial infarction, stroke, hospitalization for unstable angina, and hospitalization for heart failure end points as well as causes of death. The primary efficacy analysis was based on the intention-to-treat population, with the test of the null hypothesis based on the estimate (and standard deviation) for the treatment effect in a Cox proportional hazards model stratified by ACS index event (myocardial infarction vs unstable angina) and presence or absence of reperfusion therapy during the index event. Patients who were lost to follow-up or withdrew consent were censored at the time that they were last known to be event free. The study was designed as a superiority trial, with an expected risk reduction of 20% for the primary composite end point. It was intended that the trial would continue until accrual of 950 adjudicated events, providing an 80% power for a 2-sided α of .01 or less (a significance threshold intended for regulatory approval) in a log-rank test. Initial assumptions of placebo group event rates were a 10% risk in the first year, with a 4% annual event rate thereafter. Sample size to achieve the specified number of primary end points was determined to be 6000 patients over at least 2.5 years of follow-up. Because the observed primary end point event rate was lower than expected during the initial phase of the trial, the sample size was recalculated in a blinded manner and increased to at least 7000 patients. A single interim analysis for efficacy or futility was to have occurred at the accrual of 80% of the expected composite end point events (approximately 760 of the required 950 adjudicated events). A recommendation to terminate the trial for efficacy would have required a P value less than .001 in the primary efficacy analysis, with consistency in both mortality and morbidity findings and no increase in all-cause mortality. Futility analysis was to be performed by calculation of conditional power, an estimate of the probability that the study would show a statistically significant effect on the primary end point given the results to date and assumptions regarding outcome through the end of the study. A recommendation to stop the trial for futility would have required a conditional power below 10%, under the observed efficacy trend at the time of interim analysis, at the 2-sided α level less than .05. Statistical analyses were performed using SAS (SAS Institute Inc), version 9.2. A total of 7226 patients were enrolled from 720 sites in 26 countries between February 2010 and May 2012. Baseline characteristics are presented in Table 1. The qualifying event was biomarker-positive myocardial infarction in 76% of patients, with a median time from ACS hospitalization to randomization of 28 days. Among the 90% of enrolled patients in whom the diagnosis of diabetes had been established prior to the index hospitalization, the mean time between diagnosis and study entry was 8.6 years. In response to its identification of a higher incidence of specific adverse events in the aleglitazar group, the independent DSMB directed that an unplanned interim analysis of futility for the primary end point be performed for its eighth planned safety review. That interim analysis included 522 adjudicated primary end point events (55% of those projected): 262 primary end point events in the aleglitazar group and 260 events in the placebo group (hazard ratio [HR] for aleglitazar, 1.01 [95% CI, 0.85-1.19]; P = .95). The futility analysis, using the methodology that would have been applied at the planned interim analysis of 760 end point events, indicated less than 1% conditional power to demonstrate superiority to a P value less than .05 if the trial were carried to completion. Based on these findings, the DSMB recommended termination of the trial for futility. The executive steering committee and sponsor accepted this recommendation, and the trial was terminated on July 2, 2013. By completion of patient follow-up and finalization of the trial database on December 17, 2013, 704 primary end point events (74% of those projected) had been positively adjudicated. Patient assignment and follow-up are detailed in Figure 1. The median follow-up period was 104 weeks (interquartile range [IQR], 82-129). More patients in the aleglitazar group than the placebo group discontinued study drug prematurely (29.3% for aleglitazar vs 25.3% for placebo). Median time on the study drug was 89 weeks (IQR, 67-117 weeks) in the aleglitazar group. A total of 3.1% of patients were lost to follow-up and 3.2% withdrew consent. The primary end point event of cardiovascular death, nonfatal myocardial infarction, or nonfatal stroke occurred in 344 patients (9.5%) in the aleglitazar group and 360 patients (10.0%) in the placebo group (HR for aleglitazar, 0.96 [95% CI, 0.83-1.11]; P = .57) (Figure 2A and Table 2). Aleglitazar had no detectable effect on the rates of any individual component of the primary end point or on the secondary composite end points, although there were significant reductions in hospitalizations for unstable angina and in unplanned revascularizations (Table 2). There was no evidence that effects of treatment differed among subgroups (eFigure 1 in the Supplement). Exploratory end points relating to glycemic control and lipoprotein effects were assessed. Glycated hemoglobin was significantly lower among patients assigned to aleglitazar than to placebo (Figure 3A). The mean change from baseline was −0.99% in the aleglitazar group and −0.36% in the placebo group; least squares difference, −0.60% (95% CI, −0.65% to −0.55%, P < .001) at month 3. More patients in the aleglitazar group than the placebo group achieved a glycated hemoglobin level of less than 7% by the end of the treatment period (86% for aleglitazar vs 71% for placebo, P < .001) and fewer patients required institution of permanent insulin therapy (18.4% for aleglitazar vs 20.6% for placebo, P = .02). Changes in lipoprotein levels are shown in Figure 3B-3D. At 3 months, HDL-C levels increased from baseline by 26.9% in the aleglitazar group and 8.4% in the placebo group; least squares difference, 18.6% (95% CI, 17.4% to 19.7%, P < .001). Triglyceride levels decreased by 23.9% in the aleglitazar group and increased by 10.9% in the placebo group; least squares difference, −34.9% (95% CI, −37.3% to −32.5%, P < .001). The LDL-C levels increased more in the aleglitazar group (12.9%) than the placebo group (9.4%); least squares difference, 3.7% (95% CI, 1.7% to 5.5%, P < .001), although apolipoprotein B levels decreased by 2.7% in the aleglitazar group and increased by 4.6% in the placebo group; least squares difference, −7.3% (95% CI, −8.6 to −6.1, P < .001). Safety end points are also summarized in Table 2. Hospitalization for heart failure occurred in 3.4% of patients randomized to aleglitazar compared with 2.8% of patients in the placebo group (HR, 1.22 [95% CI, 0.94-1.59]; P = .14; Figure 2B). A serious adverse event of heart failure was reported in 4.7% of patients in the aleglitazar group and 3.8% of patients in the placebo group (HR, 1.24 [95% CI, 0.99-1.66], P = .06). The mean change in body weight from baseline to end of study was greater among patients in the aleglitazar treatment group (4.6 kg for aleglitazar vs 0.9 kg for placebo, P < .001; Figure 4A), and more patients receiving aleglitazar developed peripheral edema (14.0% for aleglitazar vs 6.6% for placebo, P < .001). Of the 112 cardiovascular deaths in the aleglitazar group, 16 were classified as due to heart failure; of the 98 cardiovascular deaths in the placebo group, 7 were due to heart failure (Table 2). Gastrointestinal hemorrhage occurred significantly more frequently and bone fracture numerically more frequently among patients in the aleglitazar group (Table 2 and eFigures 2 and 3 in the Supplement). Changes from baseline in serum creatinine are shown in Figure 4B; by month 24, mean serum creatinine had increased by 0.11 mg/dL in the aleglitazar group and by 0.01 mg/dL in the placebo group; least squares difference, 0.10 mg/dL (95% CI, −0.08 to 0.11 mg/dL; P < .001). There were no differences in creatinine levels between groups by 4 weeks after discontinuation of study drug. The composite renal end point occurred more frequently among patients randomized to aleglitazar (7.4% for aleglitazar vs 2.7% for placebo; HR, 2.85 [95% CI, 2.25 to 3.60]; P < .001). Significantly more patients in the aleglitazar group reported at least 1 hypoglycemic event (17% for aleglitazar vs 11% for placebo; HR, 1.60 [95% CI, 1.41 to 1.82]; P < .001). There were no differences in rates of malignancy. Our trial set out to determine whether treatment with the dual PPAR agonist aleglitazar, when added to standard of care for patients with type 2 diabetes mellitus, would reduce the risk of recurrent cardiovascular events following a recent ACS. Although aleglitazar reduced glycated hemoglobin and improved serum HDL-C and triglyceride levels, it did not significantly decrease the incidence of cardiovascular death, myocardial infarction, or stroke. Aleglitazar increased the risks of heart failure, renal dysfunction, bone fractures, gastrointestinal hemorrhage, and hypoglycemia. Despite the favorable metabolic effects of PPAR activators, evidence to date has been inconclusive as to whether either PPAR-α or PPAR-γ agonists favorably modify cardiovascular outcomes. Pioglitazone decreased the incidence of cardiac ischemic events in high-risk patients with diabetes mellitus in a large randomized trial,15 a finding corroborated by a meta-analysis16 and by imaging studies showing reduced progression of atherosclerosis in the carotid17 and coronary18 vascular beds. In contrast, although early trials showed reductions in cardiovascular events with gemfibrozil,19,20 there were no clinical benefits of fenofibrate administered concomitantly with statin therapy in more contemporary studies.21,22 Challenges associated with these drugs include reversible increases in serum creatinine related to PPAR-α activation23 and fluid retention, heart failure,24,25 and bone fractures with PPAR-γ agonists.26,27 Prior attempts to develop dual PPAR-activating drugs have been unsuccessful. The investigational agent, muraglitazar, was associated with an apparent excess of adverse cardiac ischemic events in an aggregate analysis of small phase 2 and phase 3 trials,28 whereas development of another dual agonist, tesaglitazar, was terminated due to renal toxicity.29 No dual PPAR activator has previously been evaluated in a large-scale cardiovascular outcomes trial. There are several potential explanations for why aleglitazar did not reduce cardiovascular mortality and morbidity in our trial. First, the magnitude of changes in HDL-C and triglyceride levels achieved with aleglitazar may not have been sufficient to impart additional cardiovascular benefit when administered concurrently with statin treatment. It is relevant in this regard that pioglitazone reduced cardiac end points during a prior trial in which only 43% of patients received statins and the mean baseline LDL-C level was 112 mg/dL,15 whereas statins were used in 92% of patients and the mean baseline LDL-C level was 79 mg/dL in our trial. Alternatively, HDL-C and triglycerides may not determine the risk of recurrent events among patients with established cardiovascular disease, despite the epidemiological associations observed in initially healthy cohorts.30-34 The lack of clinical benefit seen with other agents, such as dalcetrapib,35 niacin,36,37 or fibrates,21,22 in recent trials provides support for this argument. Moreover, given the pronounced reduction in glycated hemoglobin with aleglitazar, presumably marking an insulin-sensitizing effect of the drug, the results of our trial call into question a causal relationship of insulin resistance to cardiovascular risk among patients with established cardiovascular disease. Second, some therapies may be unable to exert a cardioprotective effect in patients with extensive atherosclerosis and long-standing diabetes or may require a very long duration of exposure to achieve such effects. All patients in our trial had cardiovascular disease, and 90% had established diabetes for an average of 8 years before enrollment. In the United Kingdom Prospective Diabetes Study,38 a trial that notably enrolled only patients with newly diagnosed diabetes and without apparent heart disease, a “legacy effect” was observed in which benefit of strict glycemic control with respect to cardiovascular outcomes emerged only after more than 10 years. Nevertheless, patients with ACS and type 2 diabetes are among those at highest risk for recurrent cardiovascular events and therefore have the greatest unfulfilled need for additional therapies. Although very early ischemic events after ACS may be primarily thrombotic, and thus not modifiable by metabolic therapies, short-term events (within the first year) occur with high frequency and may be modifiable by lipid or metabolic interventions.39,40 Our trial was designed to exclude very early recurrent events, by randomizing patients after a stabilization screening period of up to 12 weeks, but to include the period of greatly increased risk in the months following an ACS event. The increase in gastrointestinal bleeding seen in patients randomized to aleglitazar was an unexpected finding and has not been observed in prior studies of PPAR agonists. The mechanism is unknown, as safety and clinical studies showed no gastrointestinal toxicity or hemostatic abnormalities with aleglitazar, and there are no known pharmacodynamic interactions with aspirin or thienopyridines. Bone fractures have been associated by epidemiological studies with long-term use of rosiglitazone and pioglitazone, with hazard ratios ranging as high as 2.6,26,27,45 commensurate with the increased risk reported with aleglitazar in this trial. Among patients with type 2 diabetes and recent ACS, use of aleglitazar compared with placebo did not reduce the risk of cardiovascular ischemic outcomes. These findings do not support the use of aleglitazar in this setting with a goal of reducing cardiovascular risk. Corresponding Author: A. Michael Lincoff, MD, Department of Cardiovascular Medicine, Cleveland Clinic, C5Research, 9500 Euclid Ave, Cleveland, OH 44195 (lincofa@ccf.org). 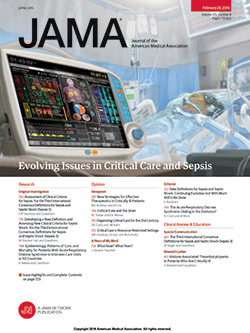 Published Online: March 30, 2014. doi:10.1001/jama.2014.3321. Author Contributions: Drs Lincoff and Malmberg had full access to all of the data in the study and take responsibility for the integrity of the data and the accuracy of the data analysis. Study concept and design: Lincoff, Tardif, Schwartz, Nicholls, Rydén, Neal, Malmberg, Wedel, Buse, Henry, Cannata, Svensson, Grobbee. Acquisition, analysis, or interpretation of data: Lincoff, Tardif, Schwartz, Nicholls, Rydén, Malmberg, Wedel, Henry, Weichert, Svensson, Volz, Grobbee. Drafting of the manuscript: Lincoff, Henry, Cannata. Critical revision of the manuscript for important intellectual content: Lincoff, Tardif, Schwartz, Nicholls, Rydén, Neal, Malmberg, Wedel, Buse, Henry, Weichert, Svensson, Volz, Grobbee. Statistical analysis: Tardif, Wedel, Henry, Volz. Obtained funding: Lincoff, Neal, Malmberg, Henry, Svensson. Administrative, technical, or material support: Lincoff, Tardif, Nicholls, Neal, Malmberg, Henry, Weichert, Cannata, Svensson. Study supervision: Lincoff, Tardif, Schwartz, Rydén, Malmberg, Buse, Henry, Weichert, Svensson, Grobbee. Conflict of Interest Disclosures: All authors have completed and submitted the ICMJE Form for Disclosure of Potential Conflicts of Interest. Dr Lincoff reports receiving research grants from AstraZeneca, CSL Laboratories, Eli Lilly, Regado, Roche, Takeda, and Vivus through his institution. Dr Tardif reports receiving research grants from Amarin, Cerenis, Eli Lilly, Isis, Merck, Pfizer, Roche, sanofi-aventis, and Servier through his institution and has received honoraria from Cerenis and Servier. Dr Schwartz reports receiving research grants from Anthera, Resverlogix, Roche, and sanofi-aventis through his institution. Dr Nicholls reports receiving research grants from Anthera, Amgen, AstraZeneca, Cerenis, Eli Lilly, InfraReDx, LipoScience, Novartis, Resverlogix, and Roche through his institution; consulting fees from Abbott, Amgen, AstraZeneca, Atheronova, Boehringer Ingelheim, CSL Behring, Esperion, LipoScience, Merck, Novartis, Omthera, Pfizer Roche, sanofi-aventis, and Takeda. Dr Rydén reports receiving research grants from AFA Insurance Company, Bayer AG, Karolinska Institutet Funds, Roche, the Swedish Diabetes Association, and the Swedish Heart Lung Foundation through his institution; has received honoraria from expert committee or steering committee service from AstraZeneca, Bristol-Myers Squibb, Roche, and sanofi-aventis. Dr Neal reports receiving research grants from Abbvie, Dr Reddy’s Laboratories, Janssen, Merck Schering Plough, Roche, and Servier through his institution and has received honoraria for meeting presentations from Abbott, AstraZeneca, Novartis, Pfizer, Roche, and Servier. Dr Malmberg reports being an employee of Roche. Dr Wedel reports receiving honoraria for steering committee service from Roche and honoraria from AstraZeneca and Pfizer. Dr Buse reports receiving research grants from Amylin, Andromeda, Astellas, Astrazeneda, Boehringer-Ingelheim, Bristol-Myers Squibb, Eli Lilly, GI Dynamics, GlaxoSmithKline, Halozyme, Intarcia Therapeutics, Johnson & Johnson, Lexicon, MacroGenics, Medtronic Minimed, Merck, Novo Nordisk, Orexigen, Osiris, Pfizer, Roche, sanofi-aventis, Takeda, and Tolerex through his institution; consultancy fees from PhaseBio; consultancy fees from Amylin, AstraZeneca, Bayhill Therapeutics, Bristol-Myers Squibb, Catabasis, Cebix, Cure DM, Diartis, Eicylex, Eli Lilly, Exsulin, GI Dynamics, Liposcience, Merck, Metabolic Solutions Development Company, Metabolon, Metavention, Novan, Novella Clinical, Novo Nordisk, Orexigen, Rhythm, Roche, Spherix, Transpharma, Transtech Pharma, and Verva through his institution; and has stock/stock options in PhaseBio. Dr Henry reports receiving research grants from AstraZeneca, Bristol Myers Squibb, Eli Lilly, Hitachi, sanofi-aventis; and honoraria as a consultant or advisory board member from Alere, Amgen, AstraZeneca, Boehringer Ingelheim, Bristol Myers Squibb, ClinMet, Daiichi Sankyo, Eisea, Elcelyx, Eli Lilly, Gilead, Hitachi, Intarcia, Isis, Johnson & Johnson/Janssen, Merck, Novo Nordisk, Roche/Genetech, and Vivus. Dr Weichert reports being an employee of Roche. Ms Cannata reports receiving research grants from Roche through her institution. Dr Svensson reports being an employee of Roche. Dr Volz reports being an employee of Roche. Dr Grobbee reports receiving research grants from Roche, Novartis, and Pfizer through his institution; has received consultantancy fees from Julius Clinical; and has received consultancy fees from Roche to his institution. Funding/Support: The trial was sponsored by F. Hoffmann-La Roche (Basel, Switzerland). Role of the Sponsor: F. Hoffmann-La Roche participated in the design of the trial and protocol in collaboration with the academic members of the executive steering committee; was responsible for submission of the protocol for approval by national regulatory authorities; developed and maintained the trial database and was responsible for data collection; performed blinded safety reviews of adverse events and was responsible for regulatory submissions related to safety issues; and provided the study drug and placebo. Unblinded statistical analyses for the interim reviews by the data and safety monitoring committee were performed by an independent data coordinating center, Statistics Collaborative, Inc (Washington, DC); these interim reports were not made available to the sponsor, executive steering committee, or any personnel involved in the operations of the trial. Management of clinical sites, including training and academic leadership, obtaining ethics committee approvals and regulatory documents, monitoring of sites, and ensuring that informed consent was obtained was performed by the consortium of academic research organizations. The final study database was provided by the sponsor to one of the academic research organizations (Montreal Heart Institute), where all of the statistical analyses for this manuscript were independently performed under direction of Anna Nozza, MSc, Senior Biostatistician at the Montreal Heart Institute Coordinating Center. Ms Nozza receives salary from her institution, but received no specific or additional compensation for her contribution. The results reported in this article are the results of the analyses performed at Montreal Heart Institute, aside from those interim results relating to the information acted upon by the data and safety monitoring committee at the time they recommended termination of the trial. The corresponding author drafted this manuscript and made all revisions based upon input from the coauthors, including those employed by the sponsor. The sponsor had no role in the decision to submit the manuscript for publication. Additional Contributions: Executive Steering Committee: A. Michael Lincoff, Study Chairman and Principal Investigator; Diederick Grobbee, Co-Principal Investigator; Jean-Claude Tardif, Co-Principal Investigator; John Buse; Robert Henry; Bruce Neal; Stephen Nicholls; Lars Ryden; Gregory G. Schwartz; Hans Wedel; Klas Malmberg; Arlette Weichert. Steering Committee: Elena Baranova, Russia; Vera Bittner, US; David Brieger, Australia; Jordi Cortada Bruguera, Spain; Peter Clemmensen, Denmark; Diego Conde, Argentina; Richard Grimm, US; Hu Dayi, China; Reda Ibrahim, Canada; J. Wouter Jukema, Netherlands; Matyas Keltai, Hungary; Hyo-Soo Kim, Korea; Jose Luis Leiva, Mexico; Brendan McAdams, Ireland; Darren McGuire, US; Linda G. Melbin, Sweden; Giles Montalescot, France; Thomas Münzel, Germany; Jośe Carlos Nicolau, Brazil; Piotr Ponikowski, Poland; Neil Poulter, UK; Stefano Savonitto, Italy; Bipin Sethi, India; Kui-Hian Sim, Malaysia; Miroslav Solar, Czech Republic; Steven Steinhubl, US; Damras Tresukosol, Thailand; Richard Troughton, New Zealand; Ioan Andrei Veresiu, Romania; Scott Wright, US. Data and Safety Monitoring Committee: Paul W. Armstrong, Chairman; David L. DeMets; Christopher Granger; Philip Home; John McMurray; Lynda Szczech (through May, 2012); Patrick S. Parfrey (May, 2012 to present). Academic Research Organizations: Berman Center for Outcomes & Clinical Research (Minneapolis, MN): Richard Grimm (Medical Director), Rachel Moor, Rebecca Lohser, Terese Mitteness; C5Research: Cleveland Clinic Coordinating Center for Clinical Research (Cleveland, OH): A. Michael Lincoff, (Director), Stephen Nicholls, Ruth Cannata, Lynn Bartko, Karen Buckholz, Kathy Elliott, Tamera Gamble, Susan Jasper, Gerry McConnell, Patty St Marie; George Institute for Global Health (Sydney, Australia): Bruce Neal (Scientific Director), Manthinda Hettiarachchi, Erin Wilson, Deama Amr, Sarah Knight, Amanda Kelly, Yunhua Cao, Ranjan Ranjesh; Julius Clinical (Zeist, the Netherlands), University Medical Center Utrecht (Utrecht, the Netherlands): Diederick E. Grobbee (Director), Hans Hoogeveen, Suzanne Bruins, Rob ten Pas (Global Project Director); Montreal Heart Institute Coordinating Center (Montreal, Canada): Jean-Claude Tardif (Director, MHI Research Center), Dominique Johnson, Joanne Gavalakis, Marie-Claude Guertin, Anna Nozza, Ernest Allen, Jerry Crockatt, Annick Drouin, Micheline LaForest, Ana Viquez-Porras, Caroline Lemieux, Christina Mantzioros, Kim Vandystadt, Karim Abdel-Sheheid. Clinical Events Committee: C5Research, Cleveland, Ohio; Cleveland Clinic: Vidyasagar Kalahasti, MD (CEC Chairperson); Mary DelValle RN; Diane Fabec RN; Sachin Goel MD; Barbara Heil MD; Julie Huang MD; Michael Jolly MD; Irene Katzan MD; Evan Lau MD; Michael McCulloch MD; Venu Menon MD; Peter Monteleone MD; Sahar Naderi MD; Dermot Phelan MD; Andrew Russman MD; Daniel Sedehi MD; Todd Senn MD; Mehdi Shishehbor DO PhD; Gus Theodos MD; Ken Uchino MD; Amanda Vest MD; University Hospital Cleveland: Cathy Sila MD; Sanford Health, South Dakota: Jitendra Sharma MD. Sponsor: F. Hoffmann-La Roche Ltd, Basel, Switzerland (Sponsor)-Klas Malmberg, MD (Global Clinical Leader); Arlette Weichert, MD (Clinical Science Leader); Regina Duttlinger Maddux, Regine Schrumpf, Henry Bennett, Dietmar Volz.